Once you've choosen your funeral program template, gathered your information and made your program, it's now time to print. When it's time to print your program, understanding a few basic concepts will make your printing go smoothly and easily. 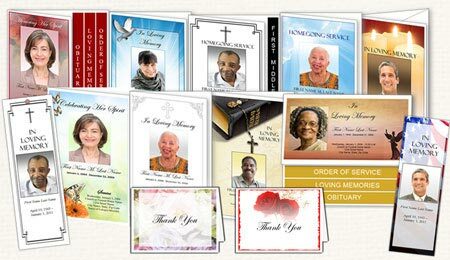 Here are some information about printing your funeral programs and booklets. Also see our article on "Print your Programs at a Copy Shop". Today, most up-to-date home printers, both laser and ink jet can produce quality graphics. Here are some quick information about both types of printers. These work by spraying a combination of colored inks onto the page. If you are using an ink jet printer, make sure you have enough ink on hand. Depending on the color of your funeral program design, you may use one ink color more that another, and this may distort or change your graphics colors. Ink jet printer may also take a little longer to print pages, and you will have to allow for "drying time" for your pages. If you pages are not dry, smudging may occur. This may add additional time to printing and folding times. Some ink jet printers can print large size on non-standard size paper (such as photo-sized paper and large tabloid paper), and can print on cardstock. Some models may also have the "borderless printing" feature which allows you to print to the edges of the paper. Laser printer use heat to "fuse" colors onto the page. Color laser printers can be more expensive that ink jet printers. Laser printers print faster and there is no "drying time". Laser printers use toner, which can be more expensive than ink jet cartridges. Laser printers may also have restrictions on how heavy your paper can be. Most laser printers do not recommend printing on cardstock. Most laser printers do not print on larger sized paper, and do not have the "borderless" printing feature. 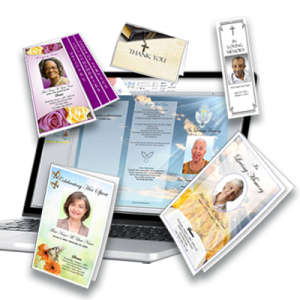 You can print your funeral program on almost any kind of paper. 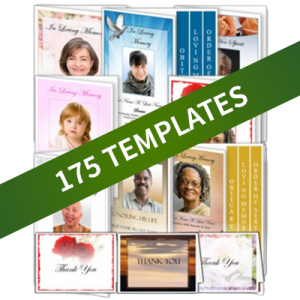 However, if you are using a template from Elegant Memorials with colorful graphics and color photos, plain white paper is usually the best choice. White paper with a good brightness will help colors appear sharp and vibrant. If you insist on using colored paper, be aware that your colors may come out dim, faded or distorted. We also recommend that you use a slightly thicker paper than standard 20 pound print and copy paper. A thicker paper will give a more professional look, and will reduce color "show through". 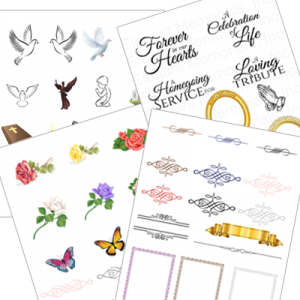 Please read our article on funeral program paper for more detailed information about paper types. More than likely, your program will be some type of a booklet or pamphlet. 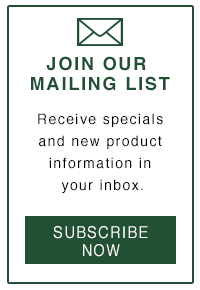 It may vary in size, including letter, legal or even tabloid sized paper. You may also have a single fold, trifold, or graduated fold layout. Almost all of these paper sizes and layouts will require you print on both sides of the paper. Duplex or double sided printing enables you to fold the program into a "booklet" or "pamphlet". Duplex printing is typically controlled by the type of printer you have. Some printers can duplex print automatically, while others can't. If you printer has automatic duplex functions, you will usually see settings in the printer properties such as "double-sided printing" "duplex printing" or "print on both sides". If your printer has automatic duplex printing, you may need to adjust the orientation or the way the second side prints out. Sometimes you will have to adjust the setting called "flip up", "flip on long edge" or "flip on short edge" . This will ensure that the booklet has the proper orientation when folded. If your printer does not have automatic duplex, you can easily print double sided manually. Print page 1 first, wait for the page to finish prining. Flip the page or re-insert the paper back into the paper tray. Print page 2 on the other side. You can select the Manual duplex check box in the Print dialog box. Microsoft Word will print all pages from one side, and then prompt you to flip the pages over and feed the pages into the printer again.